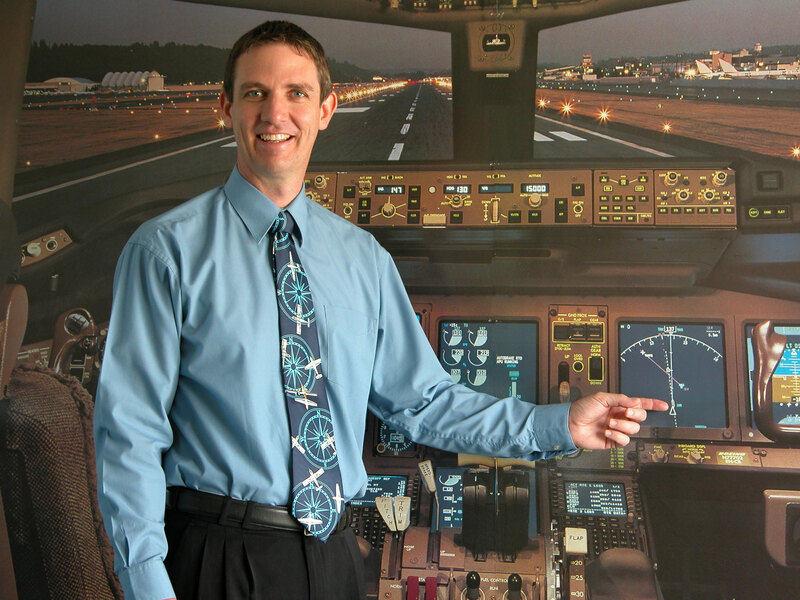 Login to your Gmail account and go to your email page. You are most likely to have the “Create a filter” link available up in the top centre of your email page. 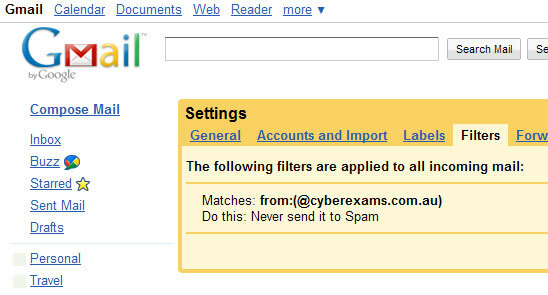 On the next page type @cyberexams.com.au in the “From:” text box and click “Next Step”. 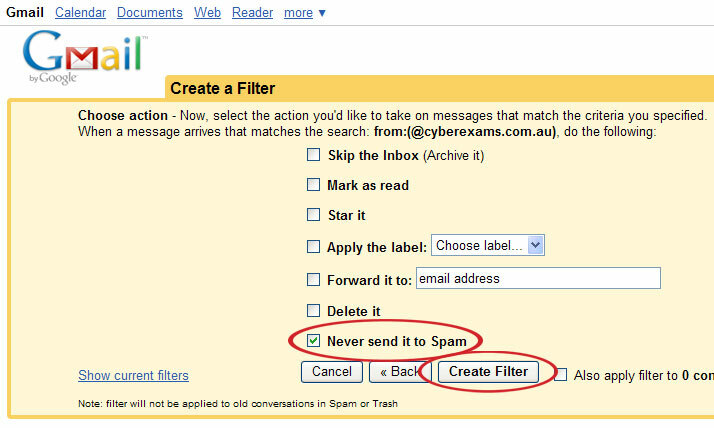 In the “Create a Filter tab tick the “Never send it to Spam” check box and then click the “Create Filter” button. You can now see you have now finished the process for @cyberexams.com.au. You should start again and create a filter for @aft.com.au as well, so you are sure to receive any other administration emails from us.